It’s okay to cheat on this one. If you don’t have the time to cook from scratch, you can simply add fresh Moringa leaves to your favorite canned soup after you heat it according to directions. Homemade or not, Moringa makes it nutritious and delicious. Just add fresh leaves right before serving. To get your own fast growing Moringa Oleifera tree – go to http://www.weh.net and look up Moringa Tree. 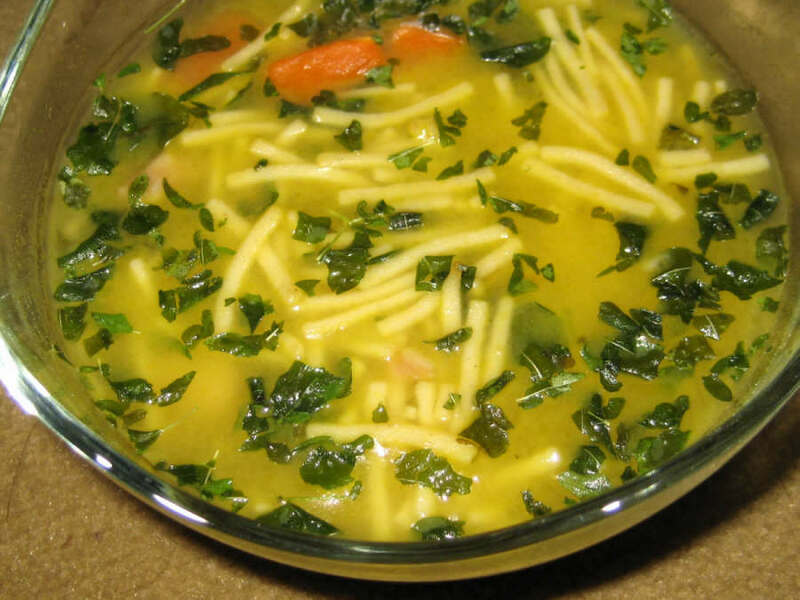 This entry was posted in Delicious Recipes, Moringa Diet - Delicious Recipes and tagged antioxidant, chicken soup, diabetes, health benefits, moringa, nutrient dense, vitamins and minerals. Bookmark the permalink.